Johnny Magory’s aim is to educate children on Irish heritage, wildlife and culture. Our purpose is to get children outside exploring. Our events intend to fulfill our purpose and vision. Each event is carried out with our values at the heart of them. One or two hour workshops which includes reading of the Johnny Magory stories then lots of interactive fun to educate on Irish heritage, wildlife & culture. This workshop can be tailored to your specific need. Emma- Jane came to do a reading with the children in the junior end of our school. She really brought the characters and stories to life and the children thoroughly enjoyed it. They learned a bit about Irish wildlife from her visit too. Can’t wait to have her back to Milltown NS when she can fit us in. Engaging children with books and reading is so important. What better setting than in a beautiful Bookshop amongst the words, dreams and stories of thousands of authors and artists. We work in conjunction with the store to develop bespoke events and use traditional and online marketing campaigns for all to maximise attendance. Emma-Jane did a reading from her Johnny Magory books in our bookshop. 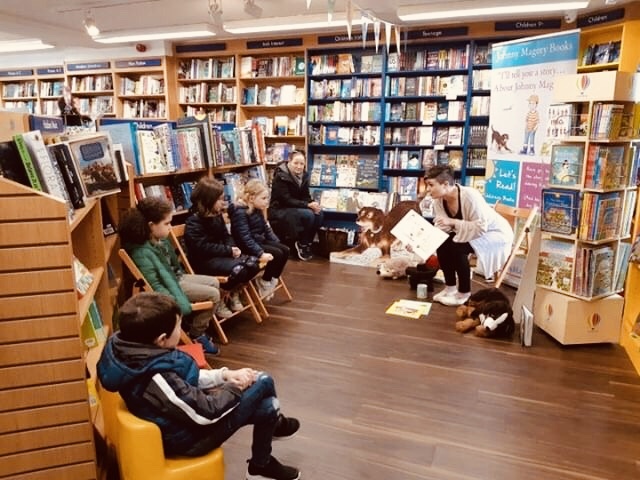 It was wonderful – she involved the children in the stories and they were enthralled! Would highly recommend the books and any events involving Emma-Jane. Dawn, Woodbine Books, Feb 2019. Meeting Little Explorers and their big people is what we love to do. We love attending events and can organise bespoke entertainment to suit each frstival’s ethos and target market. We endeavour to bring our 1972 Volkswagen Kombi Tizzy to every event. Why? Well because of her bright colour, children automatically think “fun”! 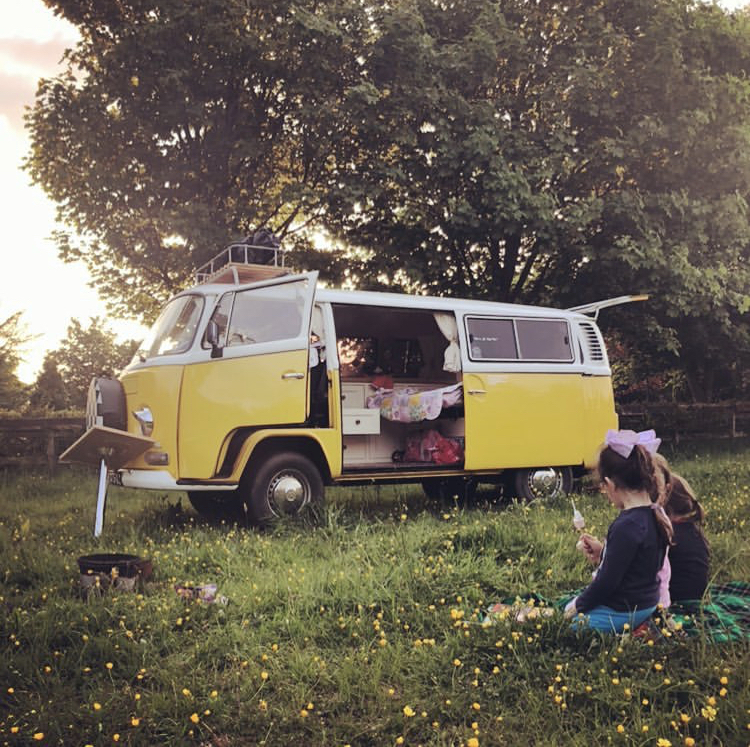 Upcoming event, The Happy Pear Playstival Aug 2019. Once a quarter (or once a season) we host an Outdoor Explorer Day which does exactly what it says on the tin… Gets children outside exploring! 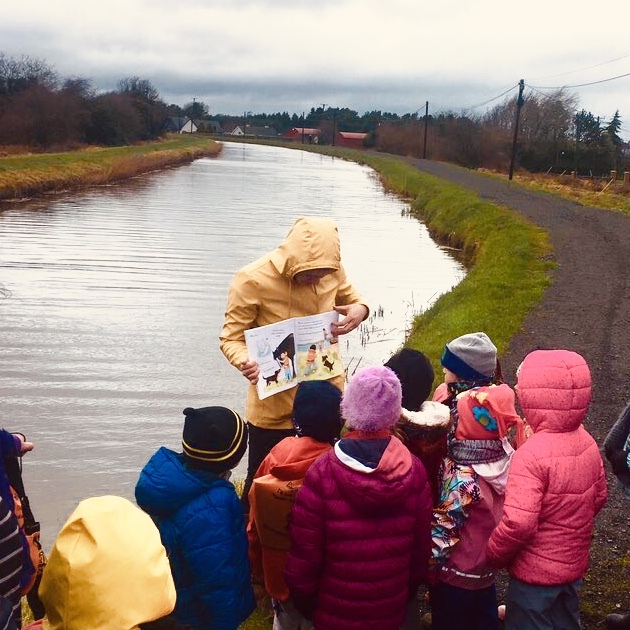 The day is hosted usually in a location from a book for example the bog, along the Grand Canal or at a forest lake and involves a range of fun activities from treasure hunts to fishing demos and of course telling stories about Johnny Magory! The day is also used to raise money for CMRF Crumlin where local businesses donate prizes for a raffle. These days are huge community efforts and a special mention needs to go to Emma-Jane’s family and friends who give up their time to help out. Reading at Explorer Day 2017. Some of the amazing volunteers behind Explorer Day 2018 where over 150 attended. Our Lady’s Hospital for Sick Children, Crumlin, Dublin is very close to our hearts. You can read the reason here. Once a quarter we visit the wards and read to the children in the hope that the little distraction will brighten up their day somewhat. The work that goes on within the walls of the hospital is indescribable and Emma-Jane will forever be grateful for each and every individual within it. Emma-Jane’s youngest daughter helping out reading in Crumlin Hospital. Keep up to date with events through our Facebook page. Email JohnnyMagory@outlook.ie for bookings and queries.